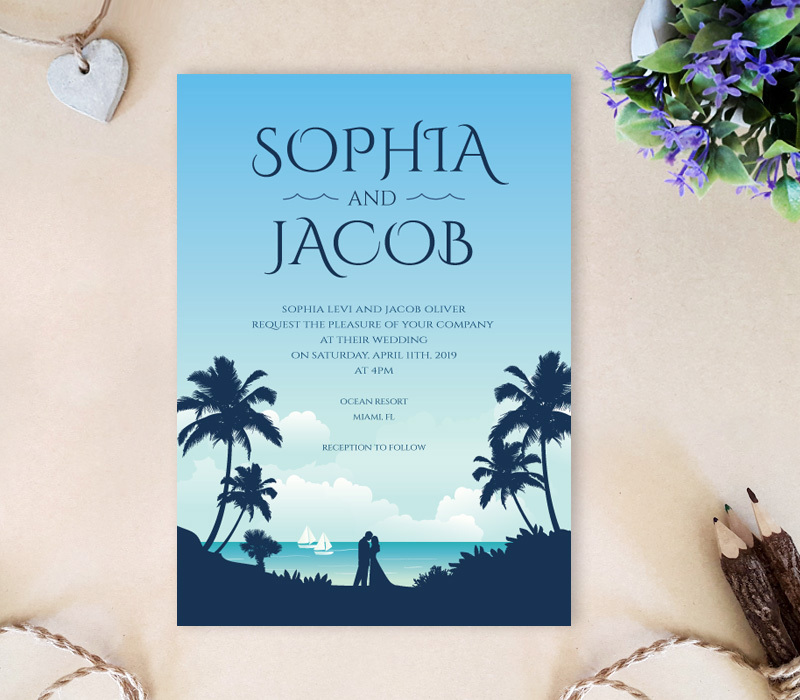 Make the announcement of a lifetime with our Beach Themed Wedding Invitations! Designed with great attention to detail, our invitation cards showcases breathtaking scenery complete with a lovely couple and elegant font. 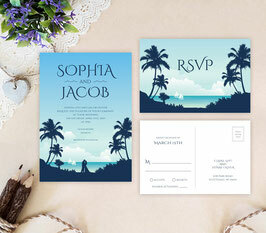 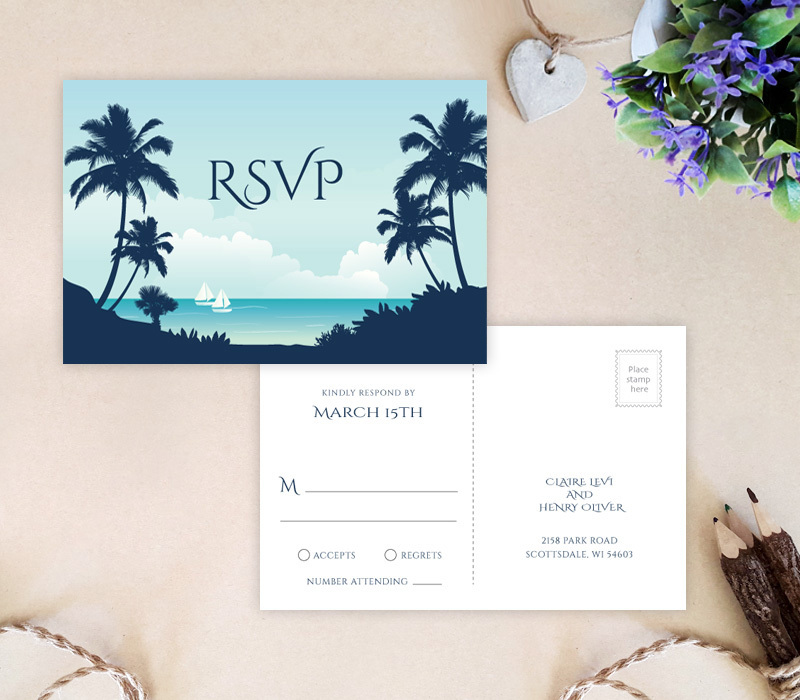 Beach Wedding set includes wedding invites, RSVP postcards and extra detail cards printed on premium cardstock.